in an attempt to raise funds to keep our GoGo Hare, Slalom Sally. 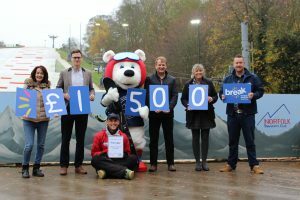 Break Charity are also celebrating their 50th Anniversary this year, supporting children & families across East Anglia. Thank you to everyone who took part in fundraising events & donated to this very worthwhile Charity.